Sun’s out, shorts out! If you’re looking for a new pair of shorts to slip into this season, it’s time to find your most figure-flattering pair to wear all season long. Whether you’re into rocking distressed denim shorts or keeping it classic with flat-fronts, there’s a length and cut for everybody—it’s all about discovering the best silhouette for your shape. Here’s how to figure out the best shorts for your shape! Know your shape! When it comes to building your dream closet, it’s all about figuring out your body shape once and for all. Then, show it off! It’s shorts-season, which means that you have free reign to show some skin. But keep in mind that shorts doesn’t mean you have to go super-short—go for a length that you’re most comfortable with. Find the right waistband. 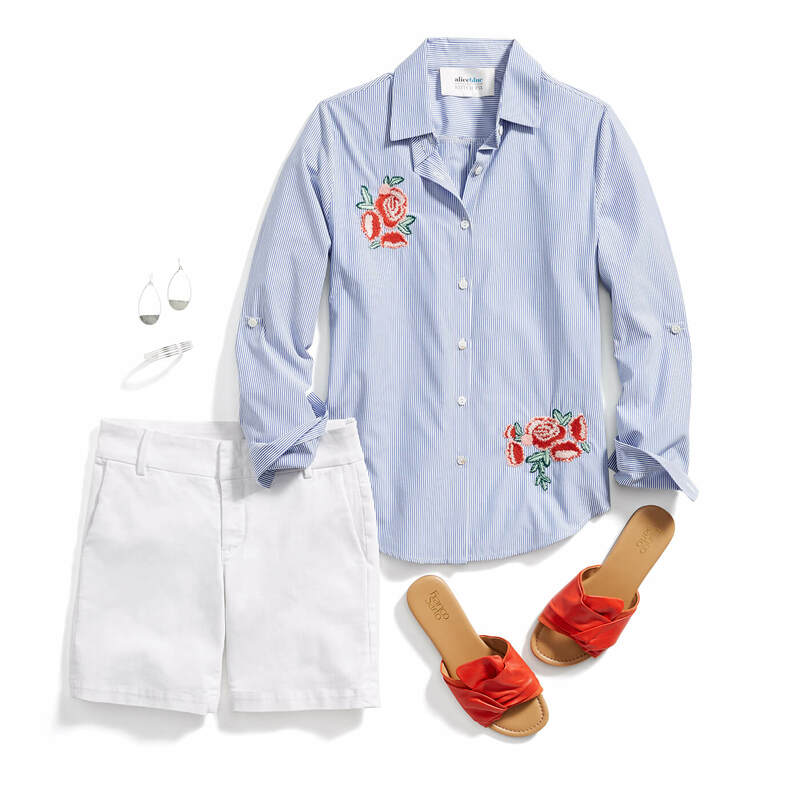 Shorts with a wider waistband define your midsection, while a high-rise waist instantly adds extra inches to your frame (and gives you legs for days). Push your shorts style! Get playful this season with bold colors and loud prints when you want to draw attention to your bottom half. But if you like to keep it classic, stick with a neutral hue or your go-to tried & trues. Now, see the best shorts for your shape! 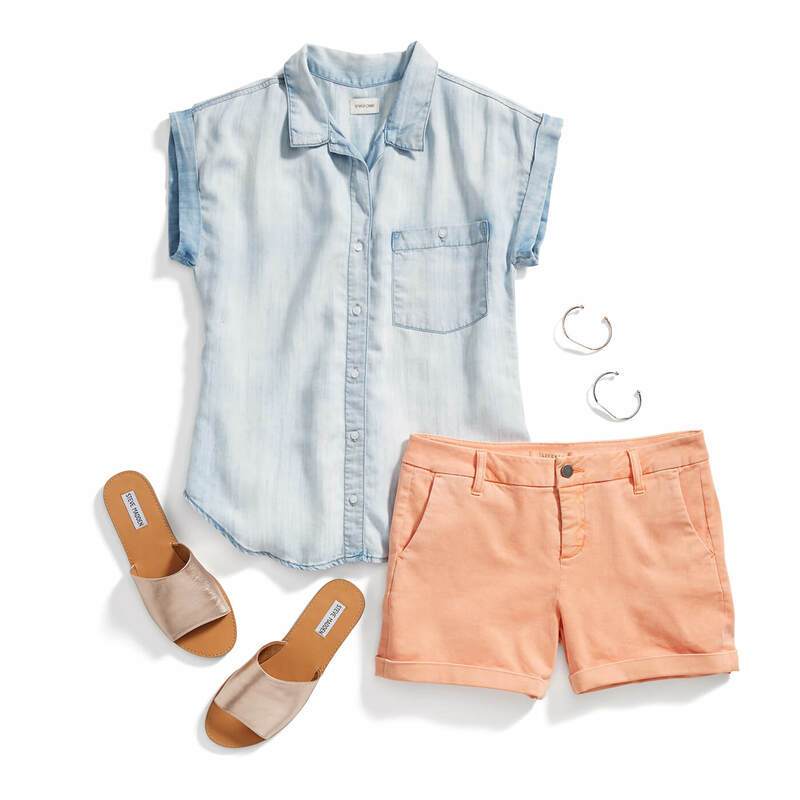 Kick the itty-bitty cut-offs to the curb—your legs love a longer inseam. A hemline that hits on your lower thigh slims your legs giving balance to your top half. Take note of the fabric—a spandex blend offers extra stretch for all day comfort. Plus, the longer style gives you the option to tap into your boho side with a breezy tunic. Show off your athletic shape! If your legs are lean or you just want to show them off, reach for a pair of cut-off or side-slit shorts to keep your gams center stage. A straight-fit silhouette will keep your shorts from running too tight, plus give you more room to walk (or run) around. If you’re all about your legs, give them the attention they deserve by wearing a bright pop of color or white. This city-chic style plays up your full hips and slim waist. Also known as the chino short, this style is often found in a straight cut, lightweight cotton blend that highlights your hourglass shape. You’ve got legs that were made for shorts, so you should flaunt them! Slide into a shorter pair that hits at your upper thigh. Avoid too tight shorts (unless that’s how you roll) and opts for a flat-front pair that are more forgiving. This season boasts multiple styles, so whether you love baring all or if you prefer a conservative look, there is the perfect pair of shorts waiting for you! Ready for a new pair of shorts? Update your Fix Note to tell your Stylist what your pair is!